No longer owned by us. Poppy is a young female out of FC AFC Esprit's Power Play. Her dam is Landrys La Femme Jolie, an AFC Hawkeye's Viking daughter. 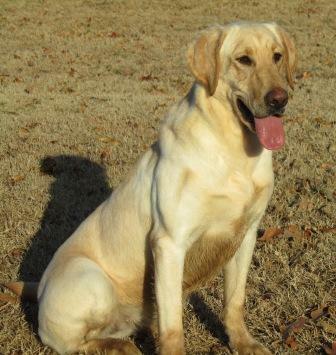 She was previously trained as a field trial dog. Poppy can do triple marks, land and water blinds up to 300 yards, and is an exceptional marker. She is a broad, well built girl with a nice coat. 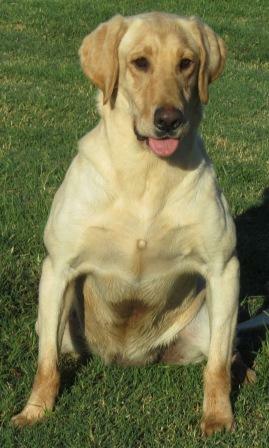 Poppy has the typical Labrador temperament, good with other dogs, cats and children. She is also good in the house.